Hmmm…The Lazy Mom’s Guide to The Elf on the Shelf. I could have easily titled this The Busy Mom’s Guide to The Elf on the Shelf, but aren’t we all busy? We aren’t looking for ways to become busier. What we are craving is tricks on how to exude minimum effort in return for maximum rewards. And that is just what I’m going to give you. I’m going to give you some tips that will help you become lazy. Sounds good, right? 1.) 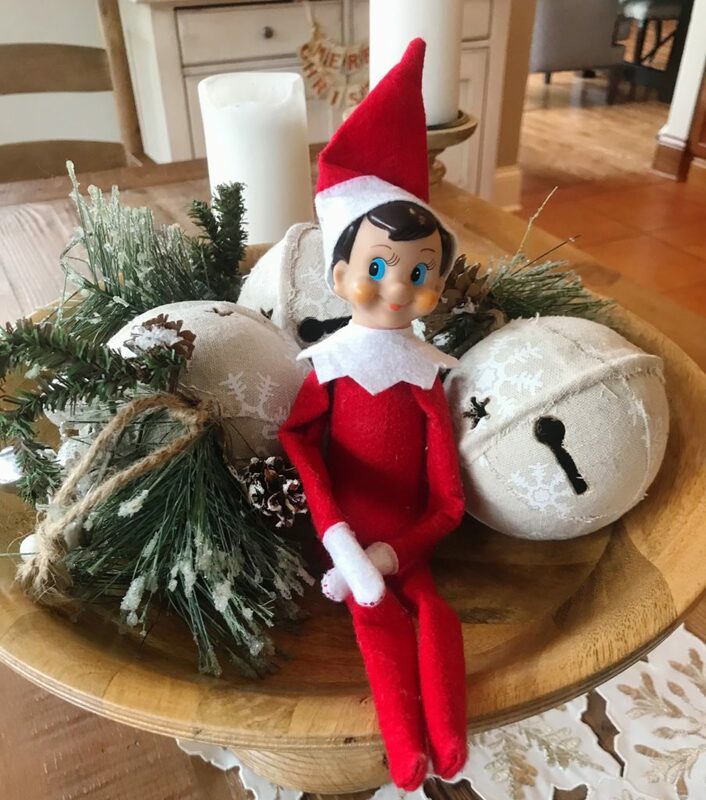 A daily schedule of where to put your elf. 2.) Ideas of cutesy mischief in which your elf can partake. 3.) Printables of funny dialogue to attach to your elf. 1.) The bare minimum required to get the most out of The Elf on the Shelf. Don’t get me wrong. I don’t have anything against the little guy. The sole reason he exists is to help keep my kids in line. However, l am not someone that wants to put a lot of effort into the elf. After all, the whole point is to make my life easier (i.e. better behaved kids). Furthermore, I am not about to have him pulling pranks that will A.) give my kids bad ideas B.) force me to implement and C.) require me to clean up. So I have developed very low expectations for myself when it comes to the elf and I want to pass them onto you. Christmas time is hectic enough and I don’t want to add another thing to your to-do list. Instead, I’m presenting you with easy ways to utilize the elf without any real effort. 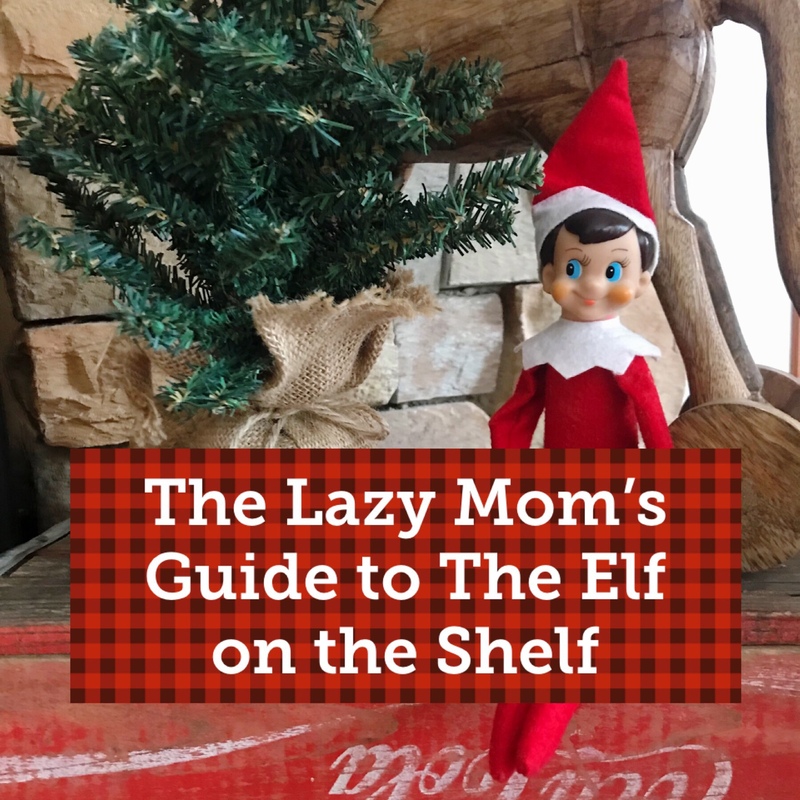 So, without further ado, here is the Lazy Mom’s Guide to The Elf on the Shelf. 1. 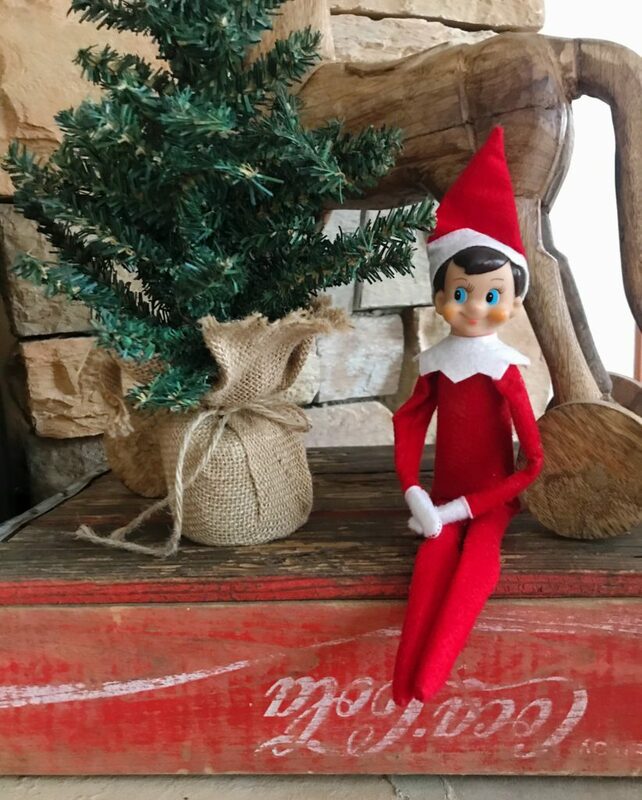 Have the elf arrive for the first time with a simple note written in cursive (I feel like that is probably standard font at the North Pole) telling your kiddos he’s there to watch their behavior and report back to Santa. This is where you can point out behaviors they need to improve upon (ex. listening skills, being nice to siblings, picking up after themselves.) Basically anything you want them to work on, put it in your letter. 2. 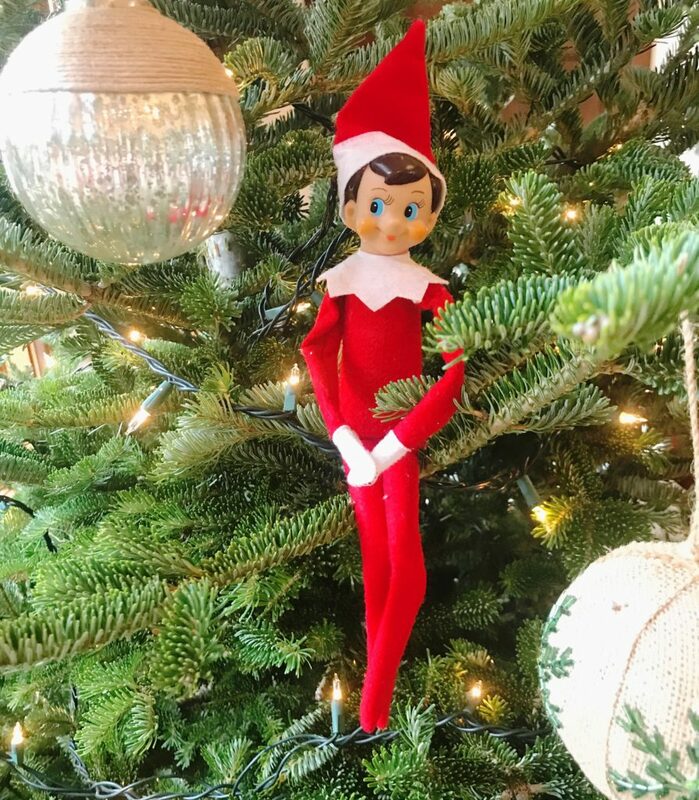 Set your alarm on your phone to move the elf. This tactic helps to prevent you from forgetting the ever important elf shuffle. An hour after bedtime works at our house. Usually by that point our kids are done with their 15 trips downstairs to get more drinks and to tell us every thought they’ve ever had. 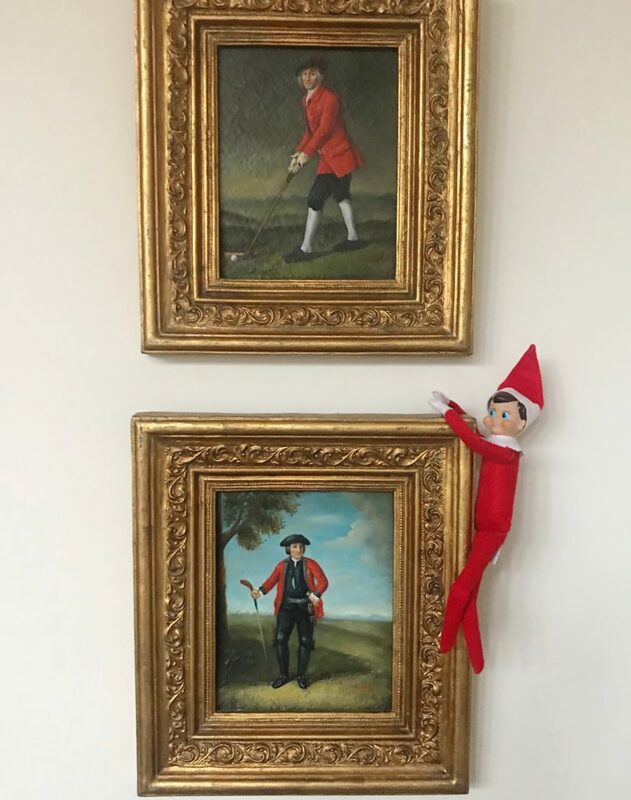 It really doesn’t matter how long after bedtime you move the elf, just don’t forget to move the elf! 4. Don’t get stressed out about where to relocate your elf every night. Just prop him in any place where he will stay sitting upright. 5. If the kids find him fallen over in the morning, leave him! Remember, the elf can’t be touched. Inform the kids he probably had a bit too much eggnog and needed to sleep it off. Joking! Don’t tell your kids that. Just say he’s silly and must have needed a rest. 6. If you become tired of moving the elf, break his elfin’ leg. (Oh how that line makes me giggle.) 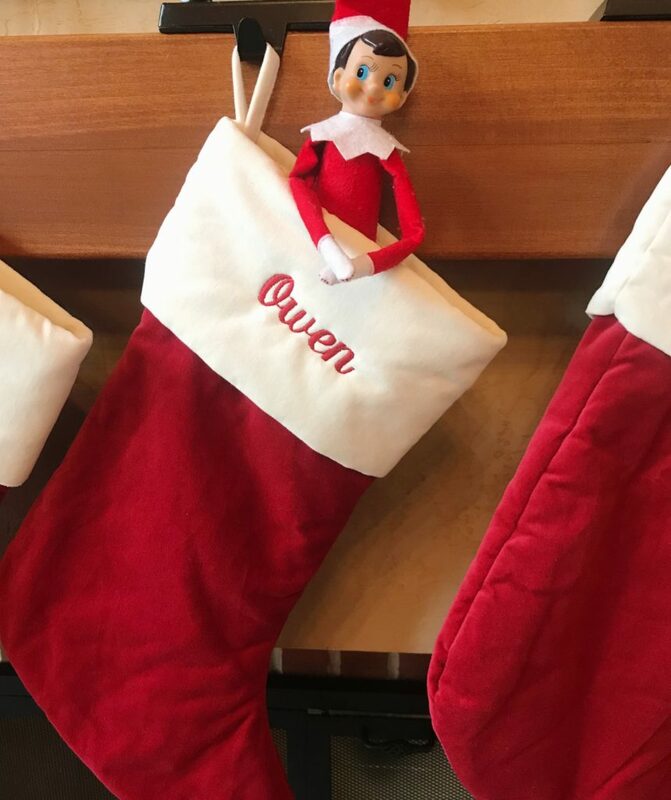 A favorite that my sister-in-law does is to wrap the elf’s leg in gauze and put a note next to him saying he needs to take time to rest so he can heal from a broken leg. That will give you at least a week straight of forgetting about the elf. Well, that completes my “Lazy Mom’s Guide to The Elf on the Shelf”. Hopefully you can be lazy too!